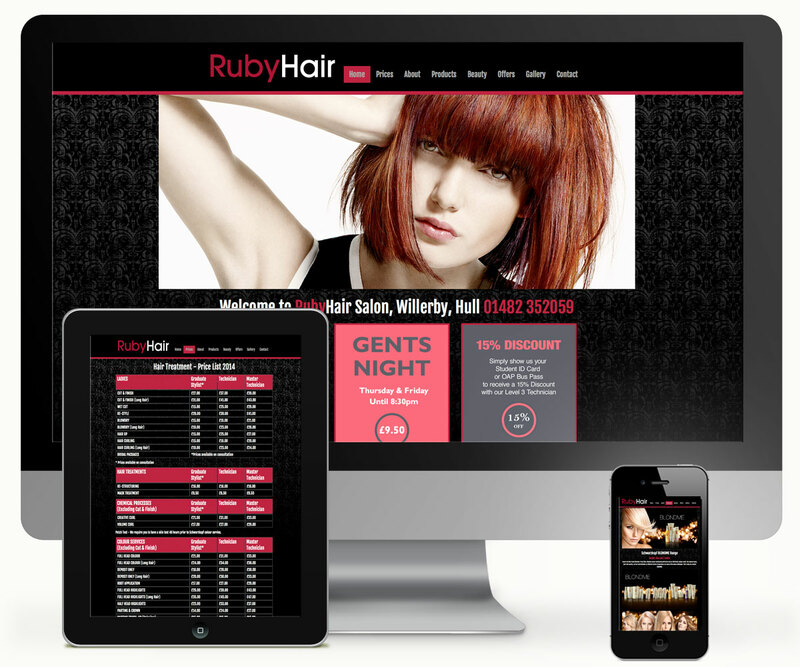 Ruby Hair Website - 939 DESIGN, Hull, Yorkshire. Ruby Hair was once a pet shop, but it has since been transformed into one of the most professional hair and beauty salons in East Yorkshire, located on Willerby Road, west of Kingston Upon Hull. It has been a very successful few years since our doors first opened in October 2010, after an extensive refurbishment Ruby Hair has etablished a strong reputation for customer care and due to this we are planning ongoing exension work for 2015. The founder, Sarah Dawson, has over 25 years experience within the hairdressing insustry and believes in working closely with her team to deliver the highest customer standards.